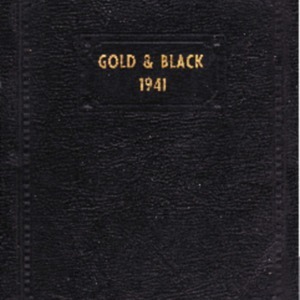 1941 is the third edition of the Gold and Black yearbook for Johnsonville. All of the photos are hand-pasted into the document. This copy has been edited to enlarge and improve the original photographs, and used 2 copies as source records. Both copies were missing some photographs. “Gold and Black 1941,” Johnsonville SC History, accessed April 19, 2019, https://www.johnsonvilleschistory.org/items/show/348.